Sensor networks are becoming increasingly important for data-intensive applications that involve moderate to high data rates, fine-grained timestamping of recorded signals, and computationally-intensive processing within the network. Examples of this new class of applications include volcano monitoring, structural health monitoring, and biomedical data capture. In contrast to the first generation of sensor networks, which were focused on low-duty-cycle data collection and aggregation, these new applications demand much greater data fidelity and computational sophistication. At the same time, wireless sensor platforms are inherently resource-constrained, leading to severe limitations of computational horsepower, memory capacity, and radio bandwidth. The stringent application demands and resource constraints conflate to make programming complex sensor applications a very difficult task, even for experts in embedded systems. As a result there is a vast gap between the needs of domain scientists wishing to develop and deploy a sensor network and the level of expertise required to realize a resource-efficient implementation. In this talk, I will present Fiji, a new programming platform intended to make it much easier for domain scientists to leverage wireless sensor networks. Fiji is based on the concept of macroprogramming, in which a program describing the global behavior of the network is compiled down to an efficient node-level binary. This is accomplished using a flexible dataflow-based intermediate form supported by multiple compilers for each target language. Fiji also provides a powerful node-level runtime and OS for resource-aware programming, allowing applications to naturally adapt to varying resource availability. 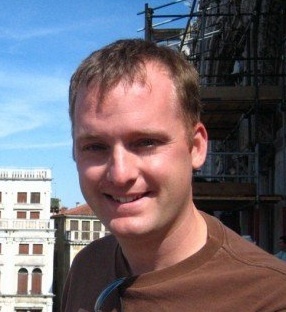 Matt Welsh has been an assistant professor in Computer Science at Harvard University since 2003. He received his M.S. and Ph.D. degrees from UC Berkeley (1999 and 2002). Following his Ph.D. work he spent one year as a visiting researcher at Intel Research Berkeley. He received his undergraduate degree from Cornell University (1996). His research interests include operating system, network, and language support for large-scale distributed systems. His current research focuses on wireless sensor networks, with an emphasis on high-level languages and programming models. His group is developing sensor network platforms for applications such as medical care and monitoring volcanic eruptions. They are also developing an Internet-based infrastructure for collecting and processing large volumes of real-time sensor data.